From kindles and tablets to iPads and iPhones, most of us own so many portable devices now that it can sometimes be hard to keep track. When you start carrying them around with you everyday, it’s easy for items to get lost or cables to become tangled. Enter Grid It!. Grid It! is a patent pending organisation system designed to provide convenient and versatile storage for your portable possessions. 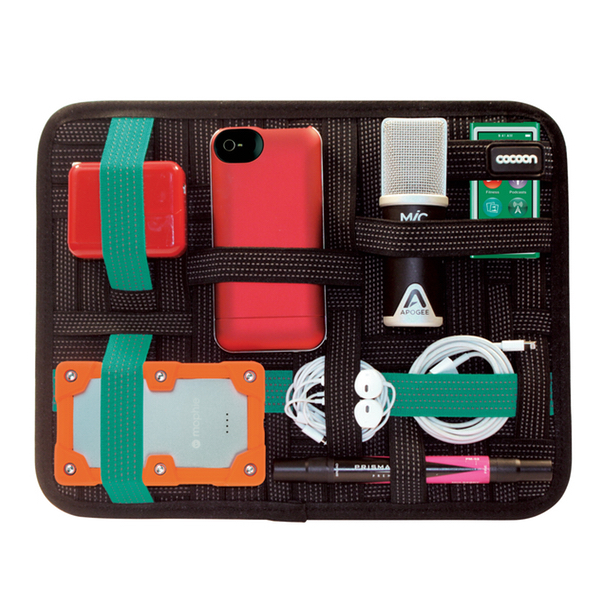 Consisting of a unique weave of rubberised elastic bands made specifically to hold your digital devices and personal items in place, Grid It! is ideal for holding headphones, chargers, cameras, cords, and other personal objects. Grid It! comes in range of different colours and sizes and some of them even include a neoprene sleeve for extra protection! Grid It! is available from our website now with prices starting from €17.99.